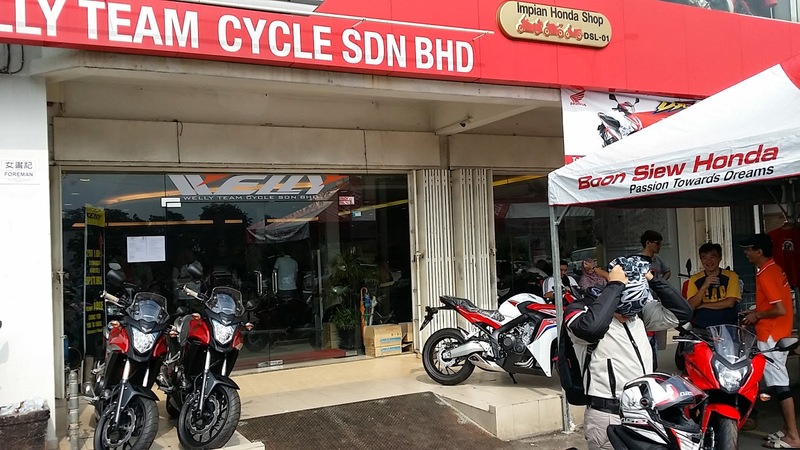 On Sat 20-Sept, Welly Subang is offering test ride event for newly launch CBR650. 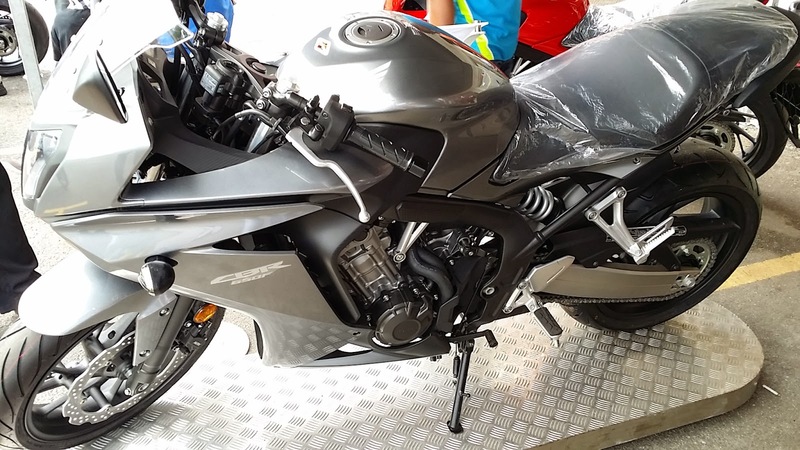 The test ride model is CB650F. Here is a simply short report from my 2-3 minutes of test ride session. The distance is like go to end of shop row then make a u-turn back. 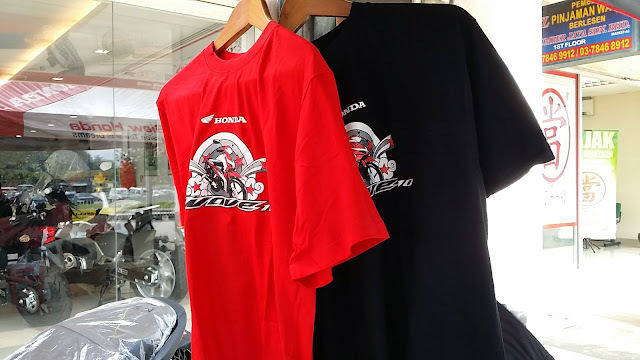 Honda t-shirt freebie for test ride. 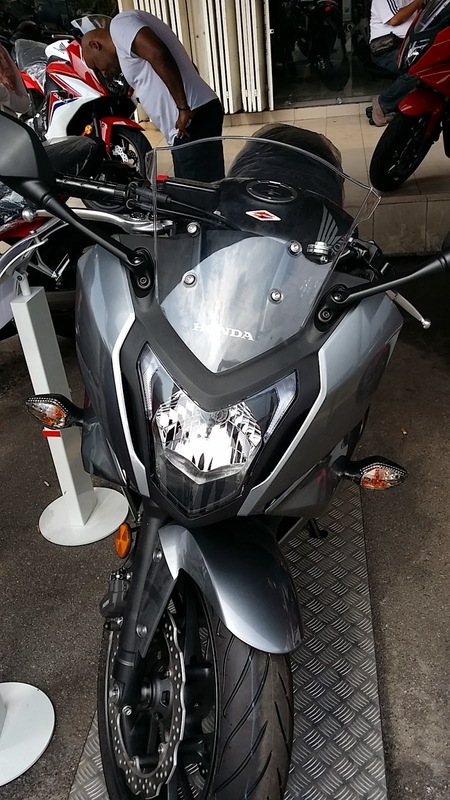 The price is not deviating far from early estimation 40k. Personally, I feel the bike is value for the money. 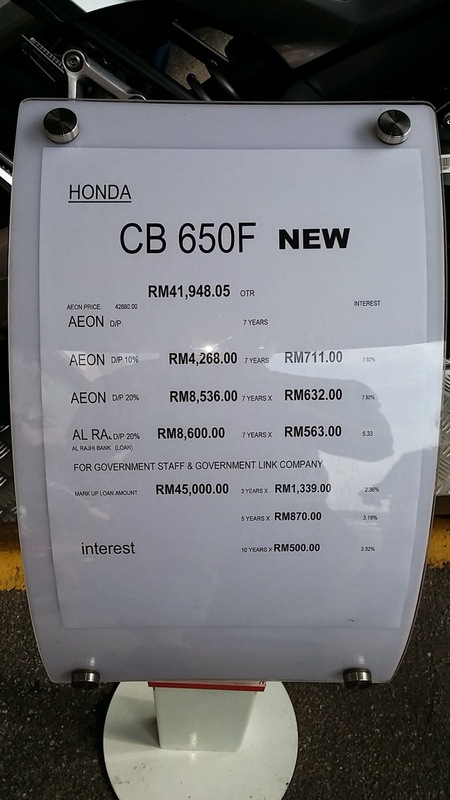 Though, is selling much cheaper in Thailand. 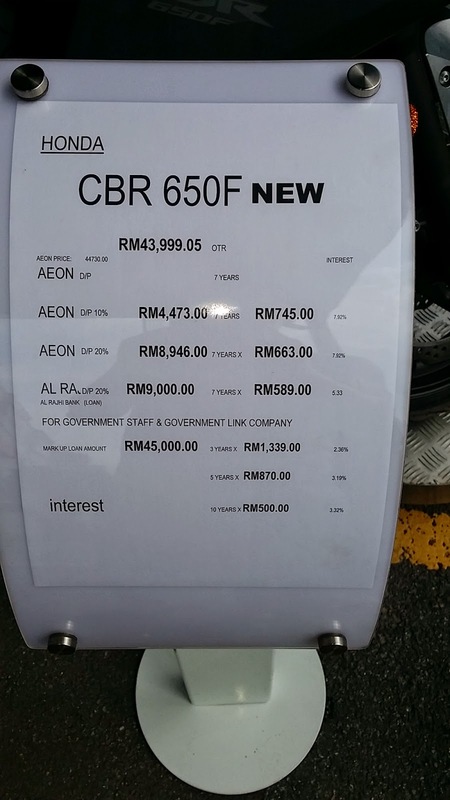 And the sales personnel unable to promise the price will rise or drop after GST. Mostly anticipate the price will go up. Test it to believe it!